I’ve written before about my ‘vocation’ as a stay at home mum and probably bored you silly, droning on about the additional useful stuff I get involved with as a volunteer, but recently something big has dawned on me. I need more than this. It started a little before Christmas, when I applied for and accepted a job as midday supervisor (but you can call me a dinner lady) at the local Infant school. I’m not entirely sure what possessed me, but I’ve been involved with that school since my eldest started there in 2011 and to date I continue to hang around, now that my youngest is in her last year as an Infant. On the basis that I’m always there for one reason or another anyway, I figured that I may as well get paid for showing up. And therein lies the main difference between this new exploit, my roles as a mum and parent, and all of the other guises and hats that I wear within the community and my own social circle: This is a job; actual employment; tangible work for which I am rewarded with a real wage, an income, actual money paid to me. 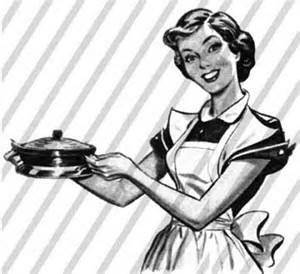 Admittedly, a job which only lasts a duration of an hour and 20 minutes every day and which involves such repeated tasks as: walking a class of six- and seven-year-olds unscathed to the dinner hall each day, ensuring that they eat enough of what’s on their plate, shushing them occasionally when they get too excitable, and then escorting them to the playground where they can run wild and free – within certain pre-agreed rules and parameters – isn’t everyone’s cup of tea. Heaven knows, it doesn’t pay me a sum that I’m likely to be able to retire on any time soon, but it has its value, to me, to the children and to the overall running of the school. Educational institutions in my experience are multi-cogged, well-oiled machines in which every one of the components – from late-evening cleaners to Executive Principals – are integral to their smooth operation. There is certainly satisfaction in the job. I may not necessarily be using my degree every day when I set about my midday supervising tasks, but I do have my uses. I am a holder of hands, a sorter-out of squabbles, a cutter-up of food, and I’m proud to say that I have the honour of being the bell lady! Each day, if a child wishes to take a turn clanging the huge, old fashioned metal bell that signals the end of play, they need to go through me. I alone wield this power. Although in truth, the teaching assistant that handed this duty over to me was relieved that she no longer needed to remember who rang it last, who had behaved well enough and which child had approached her first. It still feels like a promotion in my world. In addition to a pay cheque, midday supervising comes with a lanyard, a contract, interesting training and an appraisal system. All of which make me feel like a grown-up. It also gives me something that I have been missing but didn’t know it till now. I had forgotten what it feels like to clock off. After my short shift, I get to down tools, grab my bag and head back through the automatic doors, happy in the knowledge that my work (at least my paid work) is done for the day. There is definitely a lightness in step at the end of the working day; that ‘Friday feeling’ of relief. Now that I’m putting the super into midday supervisor, I get that every day, and after only one hour’s graft. After eleven and a bit years, this feels new. I have worked all that time at home as a parent and homemaker – if you will – but you can’t ever clock off from kids. Even in those rare moments of holiday or respite, or when you’ve employed the services of a babysitter, your responsibility to those growing little people is unending. And that’s exactly as it should be of course, but it can be exhausting nevertheless. Not so with my job. There’s barely time to be tired of it, before that heady ‘I’m heading home’ feeling comes round again. Committee and voluntary roles are all well and good but, like parenting, they are responsibility- and time-heavy. Along with the fuzzy feeling you get from ‘joining in’, there always seems to be the nagging sensation that there’s more you could be doing, or an email you could be responding to. The remit of these roles can be amorphous and vague and, while you may have raised your hand and offered to take on a particular task, no one feels they can compel you to complete it – because they are keenly aware that you, like them, aren’t paid to do so. Thus a cycle of procrastination continues and nothing feels finished.